We strongly recommend groups of 6 or more people swing by their trip starting point to drop off all passengers and gear on their way out to Spring Green for the shuttle. 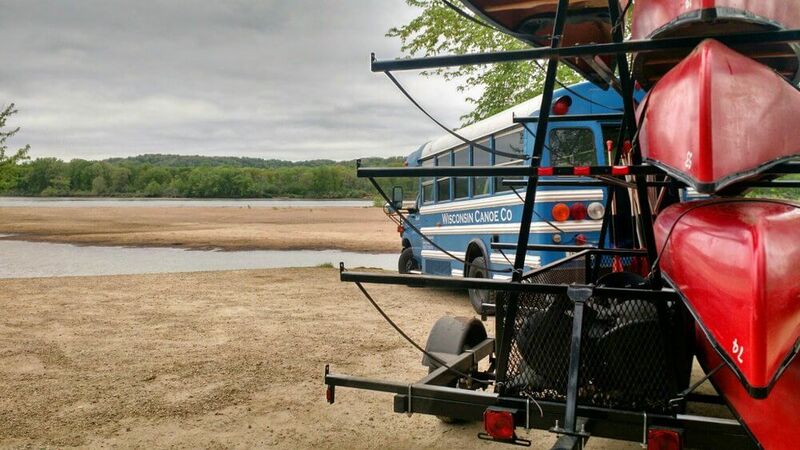 After dropping passengers and gear off at Arena, Mazomanie, or Prairie Du Sac, the drivers will continue on to Spring Green where cars are parked at the finish point and Wisconsin Canoe shuttles them back upriver to the waiting group. In our experience, the 15 minute detour to the start point is more than made up for by the faster shuttle times because your drivers are able to park and immediately jump in our vehicles to get back to start the trip. The alternative is that we all wait for everyone to unload gear from the cars and reload the gear back into our buses before re-unloading again at the landings upstream. If there’s a downside it’s that your friends are going to be sitting around waiting for you to get back which can feel a lot longer that it is. 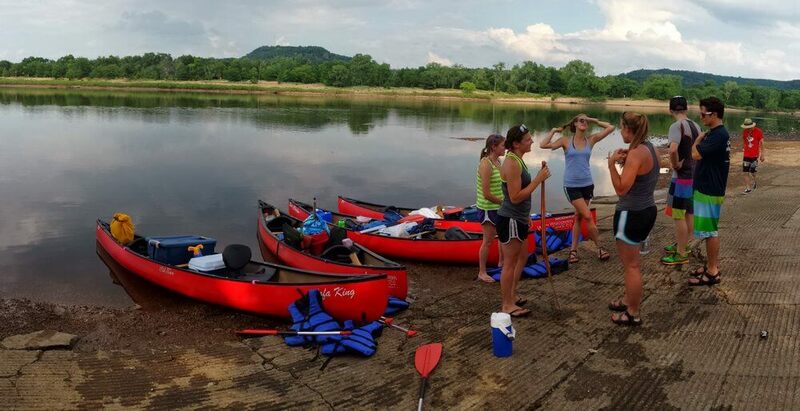 But if your group is on top of things, more often than not we’ve already got the boats upstream so they can pack and organize canoes which means you get on the water even faster after drivers finish the shuttle. And because everyone asks – yes, you are allowed to crack open your beers and pull out the camp chairs while waiting, just make sure you’re not blocking access to the river and you’re not leaving garbage at the landing. One last tip: whatever happens, do not speed through the town of Arena. The speed limit may only drop 10 mph in town but every single weekend there is almost always one or two speed traps (usually at the top of the small hill near the water tower). I’m not exaggerating when I tell you that at least one customer a week gets pulled over in Arena – you’ve been warned. Cell service can be spotty – save these directions ahead of time! Arena has a lot of open green space so you won’t have any trouble finding a place to drop gear out of the way. Stay right for the canoe launch side of the landing. There are no garbage facilities at this landing so plan to carry your trash with you. There are two portable bathrooms at this landing. The Mazo landing is north of Mazomanie on Cty Y. This small landing is heavily used by both outfitters and fishermen which has caused some issues. It’s important to always stay on the grass and out of the way of incoming vehicles. I’m not kidding when I say the locals can get aggressive if you’re blocking their boat ramp and turn around drive. 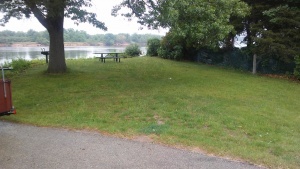 There is a grassy area with picnic table available on the right side of the landing next to the canoe launch ramp. This is where you should organize your stuff. If there’s no room here, you may have to use the parking lot across the street. There is one portable bathroom in the parking lot across the street as well. There are no garbage facilities so plan to take your trash with you. There is a private canoe livery next door (Blackhawk River Runs). Please make sure you are not using their facilities. The launch fees at this landing have already been included with your rental and are covered by our commercial permit. If you are renting a boat from us, you do not need to pay any fees. The Prairie Du Sac canoe launch is located at the VFW Park and Campground. The entrance isn’t very well marked but you’ll know you’re in the right spot when you see the helicopter and full view of the dam. The canoe launch side if the ramp will be immediately in front of you (the motorboat launch is further into the campground). You can unload gear anywhere in the grassy area between the parking lot and the river. Garbage facilities and water are both available at this landing in addition to a portable bathroom. The launch fees at this landing have already been included with your rental and are covered by our commercial permit. If you are renting a boat from us, you do not need to pay any fees. Peck’s Landing is where all trips will finish. Drivers will park their cars at this landing and then catch the shuttle bus back upriver at the departure time listed on your reservation. There are two portable bathrooms but no garbage facilities here.